Like a big-budget sports team on a free-agent acquisition binge, the car industry has been rapidly acquiring new players. And as there’s no overpriced ball park program for car buyers to work from, we thought we had better put together a guide to the rookies. As usual, not all of these newcomers are going to make it in the league, but the season is young, optimism is in the air and we will soon see which of them has what it takes to compete in the major leagues. Here’s a guide to the newest crop of car companies. With a contract to provide electric cars to Hertz, Coda looks to be solidifying its footing as a player in the electric car business. The company plans to kick off retail sales of its new electric car in California in 2011 and will roll out sales to the rest of the country soon after. The California-based company does final assembly in the Golden State using sub-assemblies imported from China. The company’s challenge will be to interest U.S. customers in buying its unremarkably generic compact sedan for $37,400 when they can now just as easily buy one from a mainstream automaker. 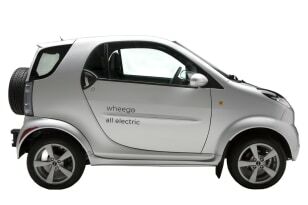 Despite an Atlanta headquarters, Wheego thinks that air conditioning should be an option (and not a standard feature) in its Smart car lookalike electric car (and the company wants you to pay $1,995 for it!). 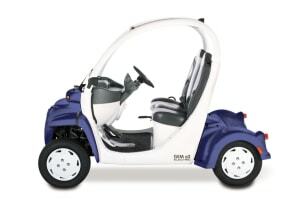 The LiFe two-seater’s base price is $32,995, and like most current electric models it’s approximate driving range is 100 miles. 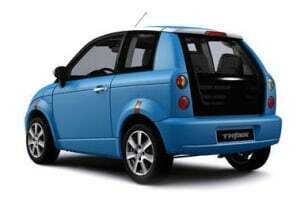 Its small size, 65 mph top speed and relatively high price compared to similar cars from established brands could make LiFe tough for Wheego. 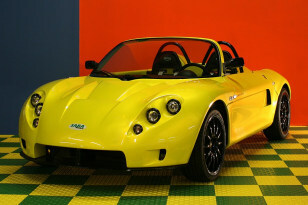 The company promises to start delivering cars at the beginning of 2011. With the arrival of financial angel Toyota, Tesla’s immediate future is solidified as the company moves from its racy Lotus-derived Roadster to developing its $56,500 Model S luxury sedan. This baby will rocket from 0 to 60 in 5.6 seconds and top out at 120 mph when Tesla gets it into production. Doubt about that eventuality should be eased by the $30 million investment in Tesla by Panasonic and Tesla’s deal to electrify RAV4 SUVs for Toyota, giving the startup company some stability as its gears up for production of the Model S.
Think isn’t really a new company, but it’s new to most consumers because Ford never consummated its plan to sell Think City cars in the U.S. Now the Norwegian company has set up final assembly in Elkhart, Ind., using lithium-ion batteries from Indianapolis and has contracts to sell its cars to government fleets, which should provide reliable income. 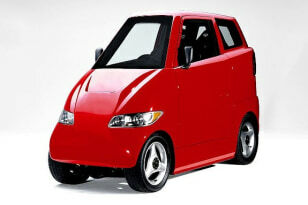 More importantly, Think is already delivering its diminutive four-seaters to fleet customers. Hopefully a retail price and deliveries will follow. Befitting its sublimely sophisticated founder Henrik Fisker, Fisker Automotive is blessedly short on bluster and credibility-eroding unfounded claims (in contrast to some other notable electric car start-ups). 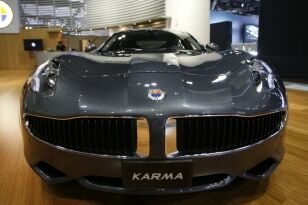 Instead, the company is quietly building substance to match the slinky looks of its Karma extended-range electric prestige car. The company says it has 3,000 “pre-orders” for its cars and plans to sell them through a network of 42 dealers nationwide. If a Smart car fell into the Death Star’s trash compactor like Luke and the gang did in "Star Wars," it might well pop out looking like the skinny Tango T600. Interested DIY types can buy a kit to build one, while those more interested in driving than building can put their names on a waiting list for a fully-assembled version. No price is yet available, but the company does list a like-new used car on its website with an asking price of $150,000. 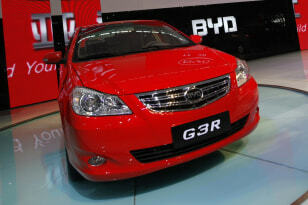 BYD (now said to stand for “Build Your Dreams”) started life as a contract manufacturer called Build Your Design, and it leads the Chinese charge into the U.S. market. As with other Chinese carmakers, BYD is finding that selling cars in the U.S. is tougher than one might guess based on the runaway success of import brands here. While the company’s products and activities in the U.S. may look inept so far, when a company has the backing of the Chinese government export machine we can expect that they aren’t going away until every Wal-Mart is stacked floor to ceiling with BYDs. 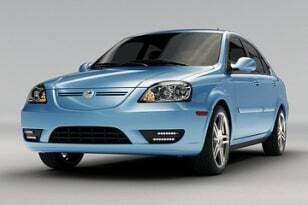 Global Electric Motorcars, or GEM, is a small car company, but it’s owned by a much larger one called Chrysler. Now that might not exactly be a financial Rock of Gibraltar, but it’s significantly more substantive than some of the wing-and-a-prayer companies emerging in the electric car segment. GEM builds neighborhood electric vehicles — that is, glorified golf carts that you can legally drive on many urban and suburban streets with low speed limits. These simplified machines provide an affordable route to electric car ownership and are ideal for fleets (and for golf communities). 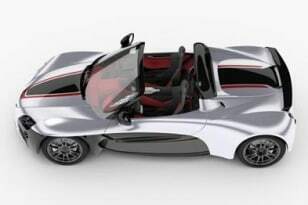 SABA Motors promises to soon deliver a Tesla-like, two-seat electric roadster that accelerates to 60 mph in five seconds and reaches a top speed of 105 mph with a driving range of between 120 and 140 miles per charge. But Tesla already sells similar cars and SABA doesn’t even list a price. Even so, SABA is aggressively seeking investors. A French company building exotic cars in Monaco and Columbus, Ohio (wait, where and where? ), Venturi is developing the “America” — a jacked-up, two-seat electric dune buggy. The thinking, apparently, is that Americans will buy anything with generous ground clearance, hence the high-riding America roadster. With 300 hp and a whopping 54 kilowatt-hour battery pack (that’s more than twice the capacity of the Chevy Volt’s battery), the America seems likely to achieve its promised driving range of nearly 190 miles. Vote: Vote: Which one would you buy?